Starting this thread since everything else I found on the subject was from several versions prior. We've been beating our heads against walls the last few days until one of our guys finally figured out what was causing it. Hopefully this helps save the sanity of others... 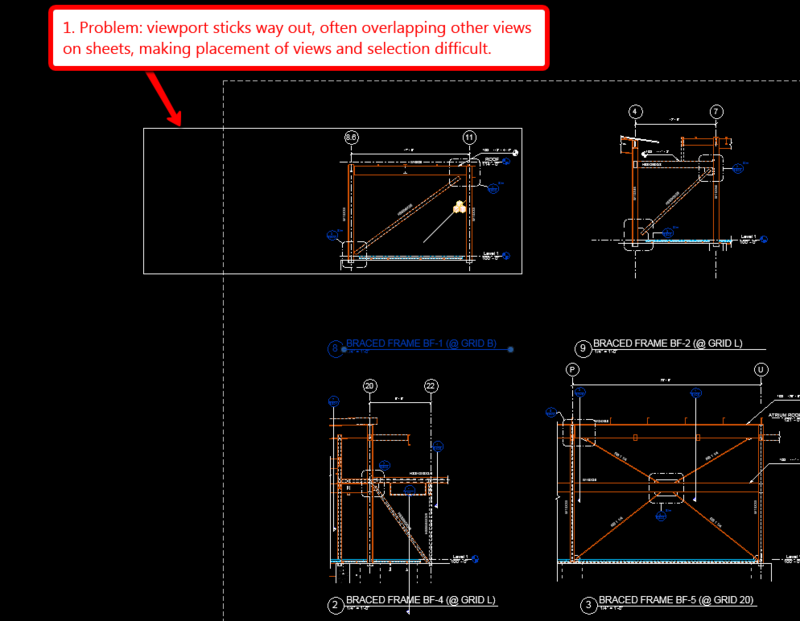 If you run into issues with views on a sheet having huge extents that cover up other views so you can't select the other views or activate them easily, one problem may be the use of structural connections in Revit now. 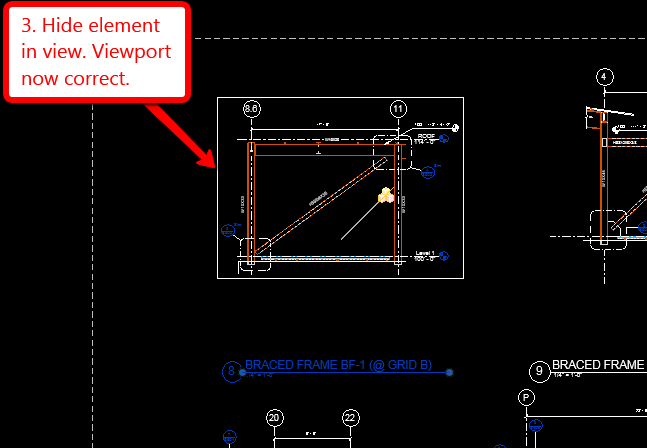 The views now (Revit 2019.2) seem to pick up on structural connections (i.e. the live, modeled connections like shear tabs and moment connections, etc, introduced in Revit 2017) even if they are WAY outside the crop region. If your view extent sticks way out, activate the view, drag over the large empty area being included,and a moment connection or some similar connection will likely highlight. Hide that and deactivate the view. Now the view extents should be back to your specified crop size. If you had any more connections, then you may have to repeat the process all over again. Can I set default interior elevation view extents?